You’ll receive a beautiful bracelet, ring and necklace. 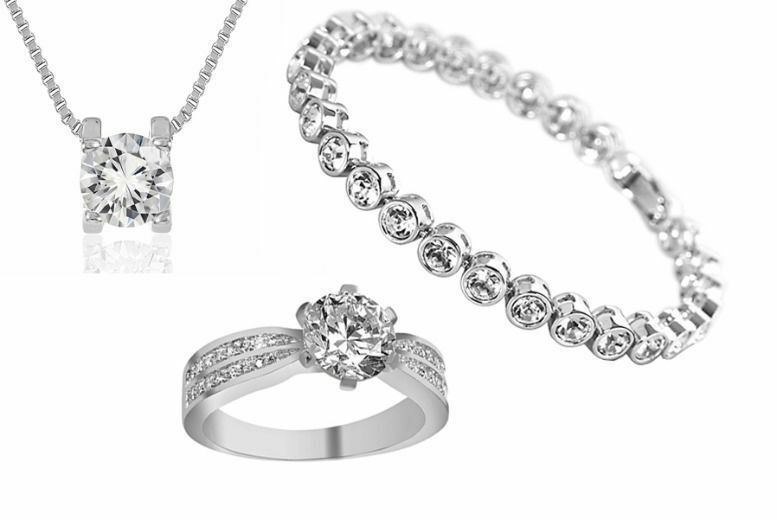 Choose between ring sizes K, M, P and R.
The perfect present for a loved one! Complete any outfit with beautiful style. Each piece compliments the other!